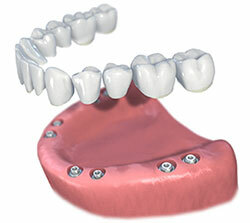 Dental implants may be used to support a bridge when several teeth are missing. The bridge replaces the lost natural teeth and some of the tooth roots. 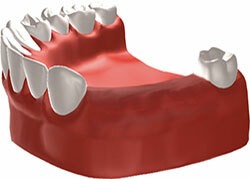 An implant-supported bridge does not require support from surrounding teeth. 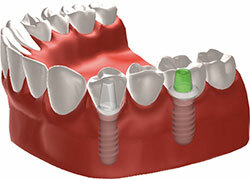 Not every tooth that is missing a implant will require a dental implant. In most situations 2 implants can support up to 4 teeth. Multiple implant supported bridges can be used to replace a whole arch (top or bottom teeth) or a whole mouth full of missing teeth. This option is permanent and can not be removed, which will feel and function most like natural teeth.